The tree is small to medium in size, reaching 8 to 18 m in height, with a crooked trunk and spreading branches. The tree is considered sacred by Hindus as the Vishnu is believed to dwell here. The tree is worshipped on Amalaka Ekadashi. In other Hindu myths, Aamla is said to be originated from the drops of Amrit which spilled on earth accidentally, due to the fight of Gods and Demons after ksheera sagar manthan. And hence also this religious belief makes claims that it almost cures every disease and is also good in extending the longevity of life. Light as well as medium heavy soils except purely sandy soil is ideal for amla cultivation. The tree is well adopted to dry regions and can also be grown in moderate alkaline soils. Amla is generally propagated by shield budding. Budding is done on one year old seedlings with buds collected from superior varieties yielding big sized fruits. Older trees or poor yielders can be changed into superior types by top working. The pits of 1 m3 are to be dug during May-June at a distance of 4.5 m x 4.5 m spacing and should be left for 15-20 days exposing to sunlight. Each pit should be filled with surface soil mixed with 15 kg farm yard manure and 0.5 kg of phosphorus before planting the budded seedling. Young plants require watering during summer months at 15 days interval till they are fully established. Watering of bearing plants is advised during summer months at bi-weekly interval. Amla tree starts bearing after about 4-5 years of planting. The fruits are harvested during February when they become dull greenish yellow from light green. The mature fruits are hard and they do not fall at gentle touch and therefore vigorous shaking is required. Fruits can also be harvested using long bamboo poles attached with hooks. 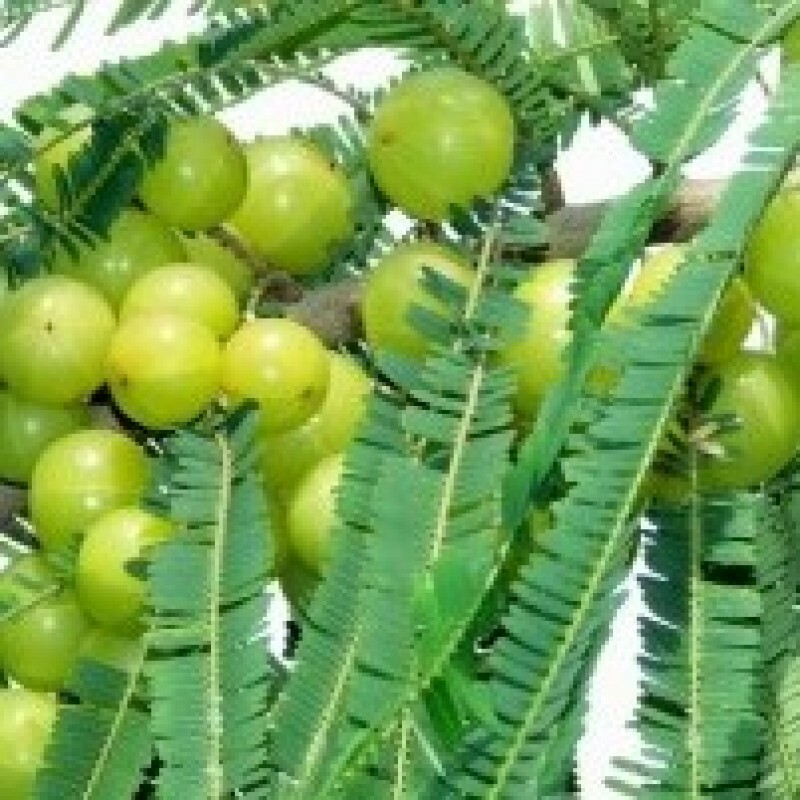 Amla strengthens the body, oust toxins from the body and improves defense mechanism of the body. Massaging the head with amla oil, induce sound sleep and is good for hair. Its decoction is used in hyperacidity and with sugar as an anthelmintic. The presence of Amla resulted in an enhanced cell survival, decrease free radical production and higher antioxidant levels similar to that of manage cells.